A coloring book is shown to have all blank pages. With a little magic all of the pages are shown to now have pictures. However, it is obvious that the pictures need some color since they are all black & white. 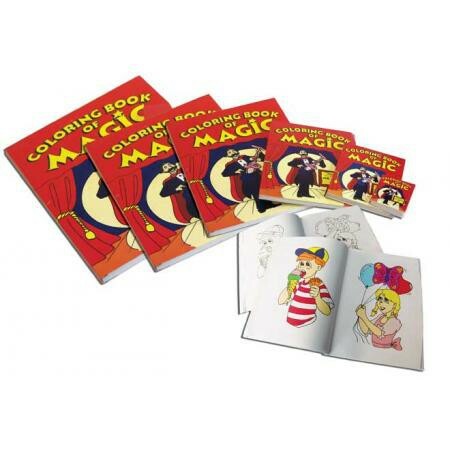 With one wave of the hand over the book, the pages are shown to have been magically colored! Now it is further explained that everything has been an illusion, showing all of the pages are blank again! Each coloring book is packaged in its own plastic bag with illustrated instructions. Great for international sales!